Hey man, how did you know this about your future wife? 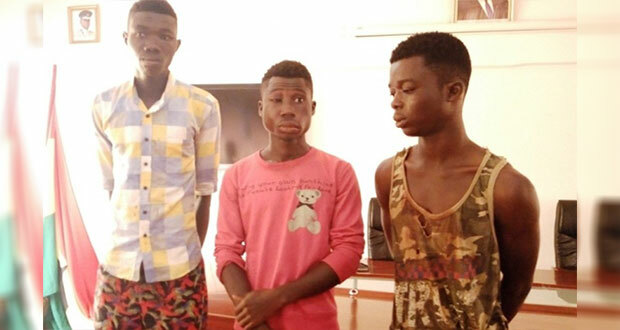 Police in the Ashanti Region have arrested three suspects in connection with a foiled robbery at Abenkyim near Bekwai. The suspects are Samuel Agyekum, 18; Boakye Ansah, 24; Innocent Amoako alias Stonky, 19; had planned to rob a fuel station in the town. "Upon interrogation, all the three suspects admitted to have come together to plan and commit the above-mentioned crime," COP Ken Yeboah told the media at a press briefing on Friday, 9 March 2018. He said the suspects mentioned that they boarded a taxicab with registration number AS 4321 – 13 driven by Kwame Afriyie from Anwiankwanta to the said filling station, where Boakye Ansah, one of the suspects had worked. "Upon arrival at the filling station, he said two of the suspects, Samuel Agyekum and Boakye Ansah, changed into yellowish jackets with hoods that had the symbol of the filling station printed on it while Innocent Amoako changed into a long, white dress, with a bag at his back, which concealed malfunctioning pistol," Ken Yeboah said. The suspects, he said further added that whiles Samuel Agyekum and Boakye Ansah entered the manager's office at the filling station, Innocent Amoako who had the pistol pretended to have been attending to the call of nature. "Suspects, who met the absence of the manager, retreated and entered the taxi en route to Anwiankwanta. Police, who already had intelligence pursued these suspects from the filling station at Abenkyim through to Anwiankwanta where the road was found blocked by inhabitants. 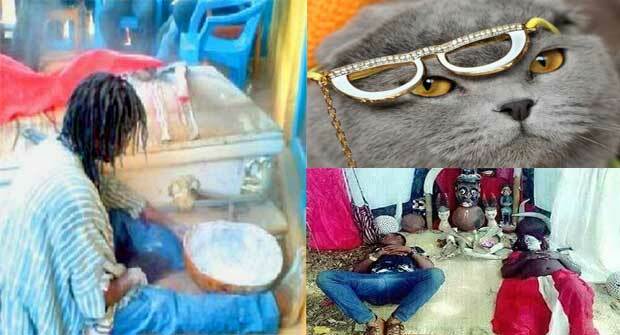 Suspects were subsequently arrested," he said. COP Ken Yeboah indicated that a pistol, four kitchen knives, a mask and gloves were found upon a search. He said all the suspects are in police custody assisting with investigations.